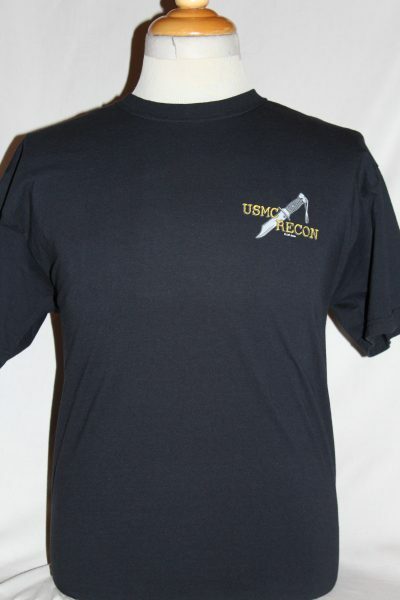 The USMC Recon t-Shirt is a two sided print in black. 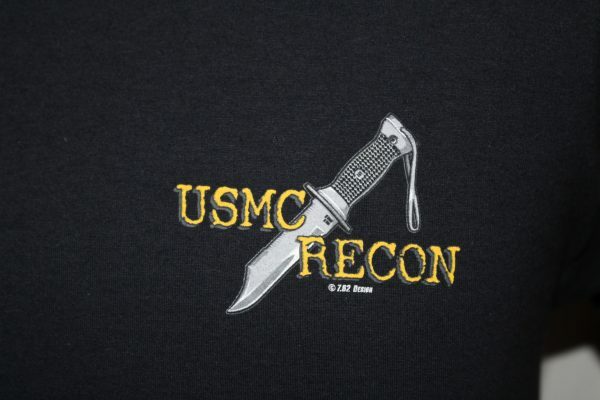 Front Design: Left chest USMC Recon text and knife. 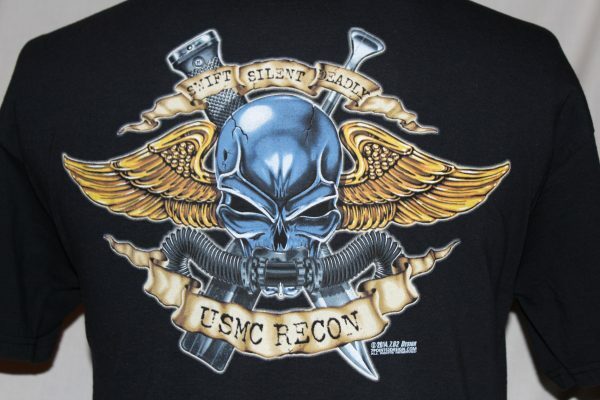 Back Design; Skull with scuba gear, superimposed over gold wings and text. Battlespace 5.1oz. 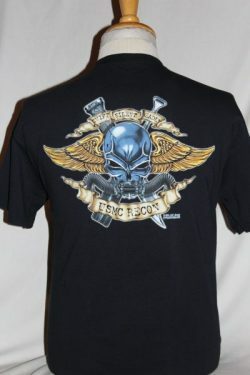 100% preshrunk cotton, super-soft, heavy weight, tagless T-shirt with interior labeling. This shirt will retain its original color through multiple washings.